Happy Friday! It's Olivia's birthday weekend so we've got lots of fun things planned, including homemade pop tarts (a birthday tradition), her party & a few other special activities including lots of time outside, paint-a-plate and more. To kick off the weekend, below are a few Friday Favorites for you! 1 // This derby dress in dusty rose is gorgeous. Piper & Scoot is my go-to spot for mama-friendly pieces that are not only super comfortable but beautiful and this one is just so good. A summer staple for sure. 2 // For you expectant mamas, this journal looks so darling & is definitely on my wish list for baby #3. Here is a baby book version by the same company. We have one of theirs for Olivia and it's such a beautiful gender neutral, classic way to record those special moments during the first year with your little one. 3 // This year I asked Olivia what she wanted for her birthday and she so matter-of-factly said "a pink cake and one book!" I've shared many times that I have a deep love of children's books and share a lot of our favorites here on my lit list page as well as my ongoing #BlessedNestLitList series on instagram. 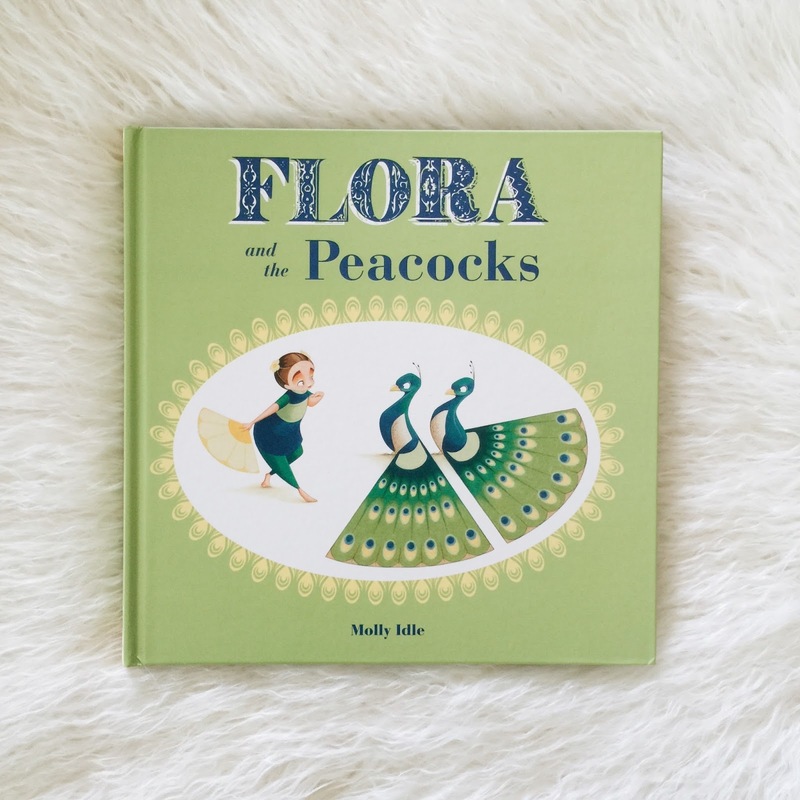 Every few months I create a wishlist of new books coming out for the girls and being that she has loved all the past Flora books, I was so excited to pick up Flora and the Peacocks as her "one book" for her 3rd birthday! 4 // Dustin, Olivia and I love salads but I've always struggled with finding delicious and healthy dressings that aren't full of junk and totally negate the healthy habit of eating a salad in the first place. We recently discovered a few new ones at local food fairs that have quickly become favorites. We picked them up for weeknight dinners and absolutely love them. Salad Girl has such a range of delicious ones, our favorite is the Dark Cocoa & Sea Salt, which is like a rich balsamic with just the right amount of sweetness. We love it on mixed greens with raspberries, walnuts and an aged cheese like parmesan. I also recently stumbled across this Italian dressing by Hampton Creek (makers of our fav "just mayo") and love how versatile and flavorful it is. 5 // One of our all-time favorite shops for handmade dolls & loveys is Dainty Cheeks. Chrissy's stuff is so good that it sells out within minutes every time she restocks, but is well worth when you do get your hands on it cause it's truly incredible. 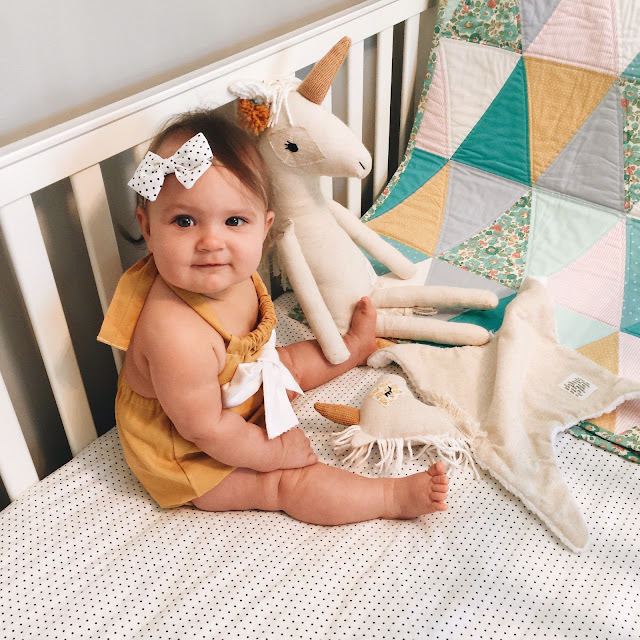 She's most well-known for her unicorns and unicorn loveys & this week I teamed up with Chrissy to give away a $50 shop credit to one of you for your own! To enter, head over to my post here. Giveaway ends next Tuesday.